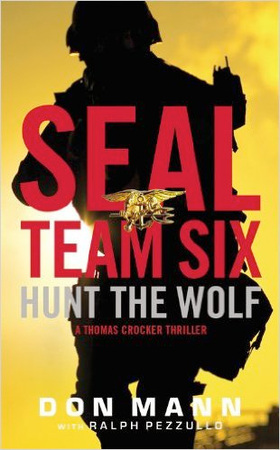 NY Times Bestselling author Ralph Pezzullo and real-life SEAL Don Mann brings all of his insight and experience to the next installment of the SEAL Team Six series. "An amazing, timely, and very accurate thriller. Mann and Pezzullo's depiction of today's world of transnational crime and U.S. clandestine operations is frightening, balanced, and on the mark. I literally couldn't put it down." "Exciting...Crocker and his men go about their dangerous mission, which involves a boatload of Special Forces military action." "Crocker and his team fight every step of the way...a story grounded in reality...real insight into the hurdles, practices and experiences of the elite band of warriors." 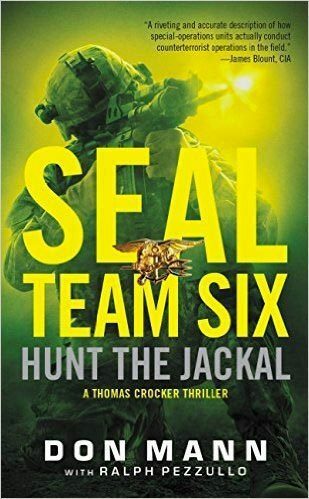 "The pace is relentless, and the inside knowledge of how the SEALs operate again gives this series its appeal...For action fans, Crocker continues to deliver." 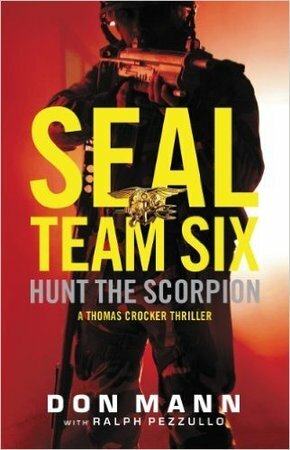 When a senator's wife and teenage daughter are kidnapped, Thomas Crocker and SEAL Team Six are sent to Mexico's lawless countryside, where federal agents protect violent narcotics kingpins instead of hunting them down. The two women have been taken by the Jackal, a drug lord drunk on power and influence. He also happens to be a self-styled modern Che Guevara, having undergone plastic surgery to disguise his looks and justifying his brutal methods and Machiavellian drug empire with the politics of social revolution. The Jackal is as ruthless as he is colorful, and he must be stopped. With insight into sensitive intelligence so top secret it can only be hinted at in fiction, Mann and Pezzullo have, over several books, used their extensive knowledge to offer a look behind the curtain at the life-or-death black-ops missions executed by a select handful of the bravest soldiers. Now, with Hunt the Jackal, the authors focus their lens even closer to home upon the dangers that lurk just across the U.S. border in a pulse-pounding thriller that ups the ante even as it sheds light on the real-life heroes and villains of the fight against narcoterrorism. Forty-two-year-old Lisa Clark sat in the pearl-white Jacuzzi spa bath with the red monoliths of Sedona shining through the floor-to-ceiling window, reading Fifty Shades of Grey. Sandalwood candles burned on the rough slate border as she reached for the glass of La Crema Russian River Valley Chardonnay. A senator’s wife and mother of two children who worked hard to maintain her long dancer’s body, she was indulging in a rare moment of relaxation and guilty pleasure. Usually she wore her hair pulled back or tied in a French braid, but now she wore it loose to her shoulders. Ritchie nodded. Then Crocker grabbed hold of the rope and descended with Mancini beside him on the parallel rope. The SEALs were dressed in Crye Precision Desert Digital combat uniforms with Alta kneepads and duty belts packed with multiple Flyye pouches for MR141, MK18, and M67 grenades, canteens, and extra magazines. Additional Flyye pouches on their backs and chests accommodated MK124 flares, light sticks, Motorola Saber portable radios, VIP infrared strobes, energy gel, and SOG knives. On their heads, MICH 2000 helmets with SureFire strobe lights, quad-tube night-vision goggles, and bone phones, which sat on their cheekbones and allowed them to hear radio traffic through bone-conduction technology. Davis and Cal wore armored vests with ceramic plates. The others had chosen not to. With insight into sensitive intelligence so top secret it can only be hinted at in fiction, Mann and Pezzullo have, over several books, used their extensive knowledge to offer a look behind the curtain at the life-or-death black-ops missions executed by a select handful of the bravest soldiers.